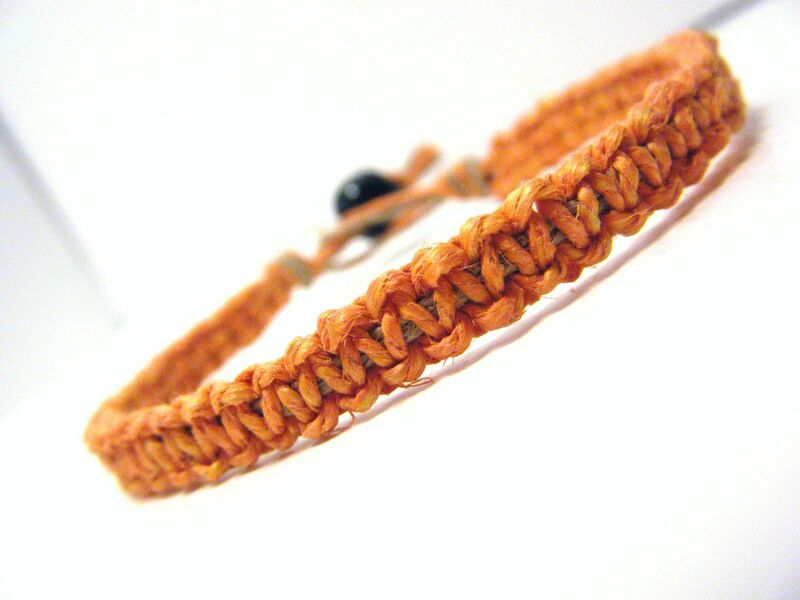 Handmade Orange Hemp Bracelet. Custom made to whatever length you would like. I can add beads, charms or whatever you like to this hemp bracelet.